To continue our Labor Day weekend excursion to Raleigh, we spent Saturday night in a hotel (just a Holiday Inn Express so no big deal although we do like these hotels because they are clean, have continental breakfast, and this one even had a little indoor pool). After the football game, we checked in to the hotel and took a quick dip in the pool to cool off after our very hot day. Then, we dressed and headed out to explore and grab some dinner. 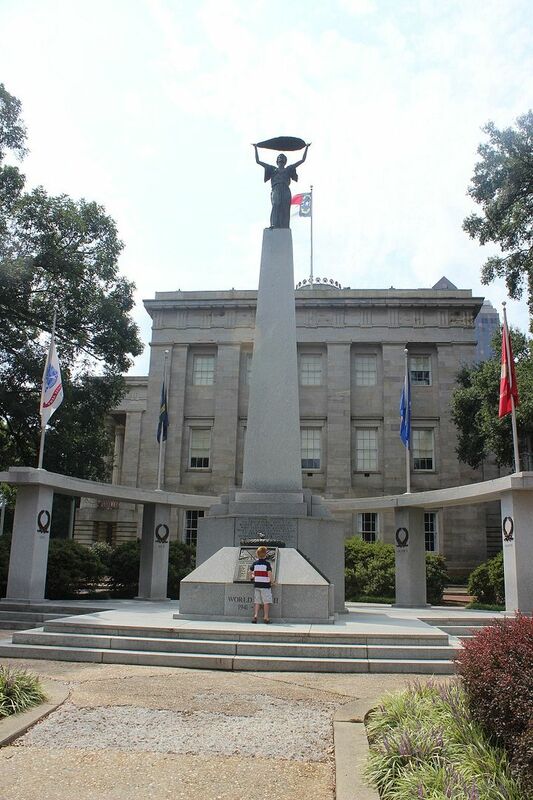 Of course, after dinner at a little bar and grill restaurant in downtown Raleigh, we hit the N.C. State campus to reminisce and have some fun as previously shared. 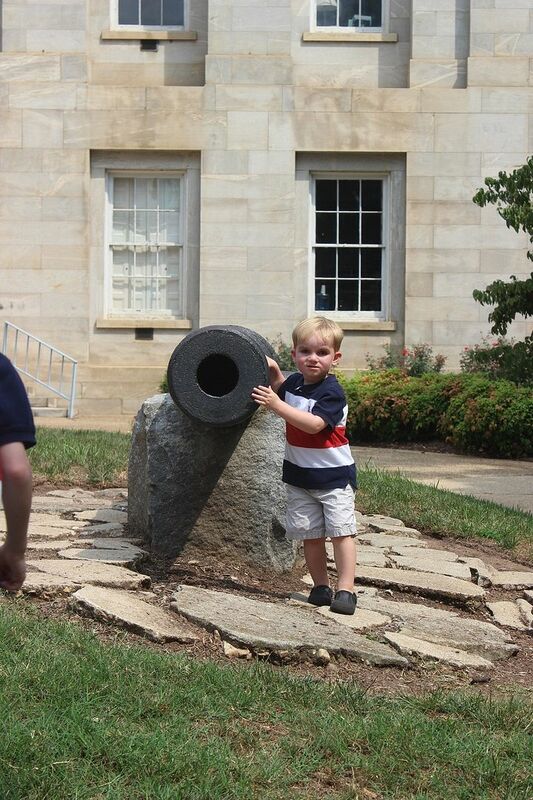 On Sunday, we slept late, ate breakfast, and headed out to show the boys some North Carolina history. 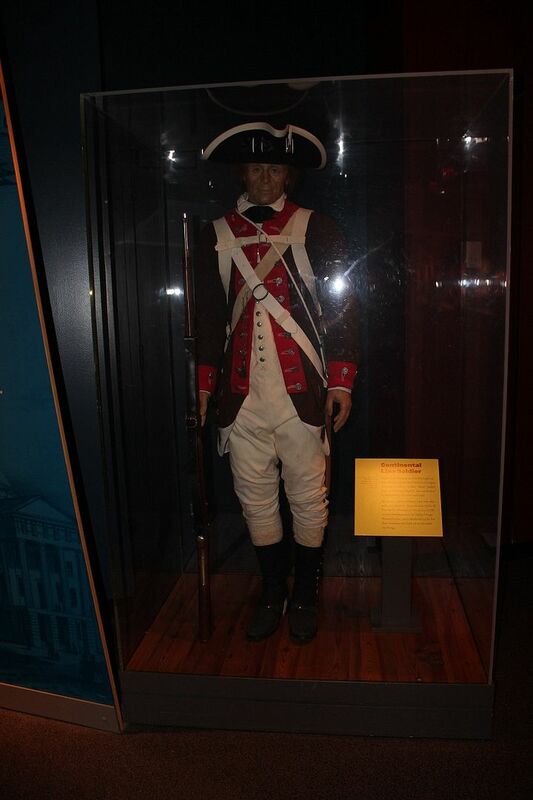 I always love our state's museums. 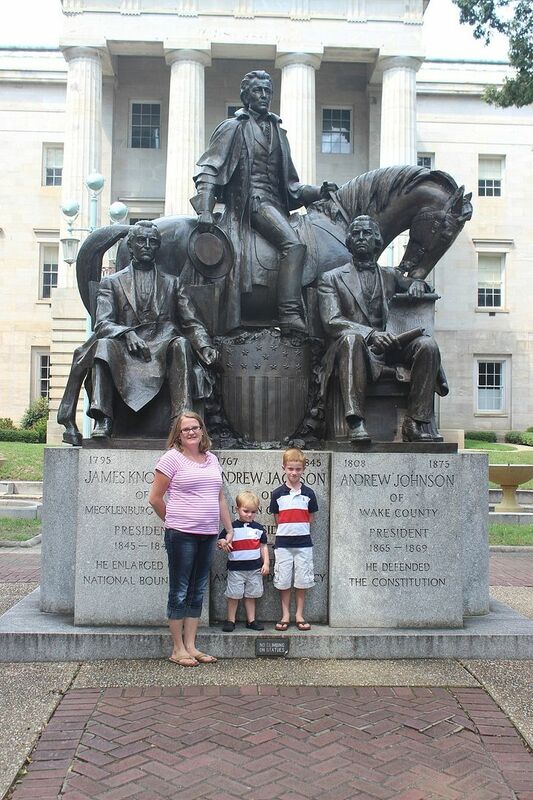 The museum didn't open until noon so we explored around the Capitol building and the Capitol mall area. 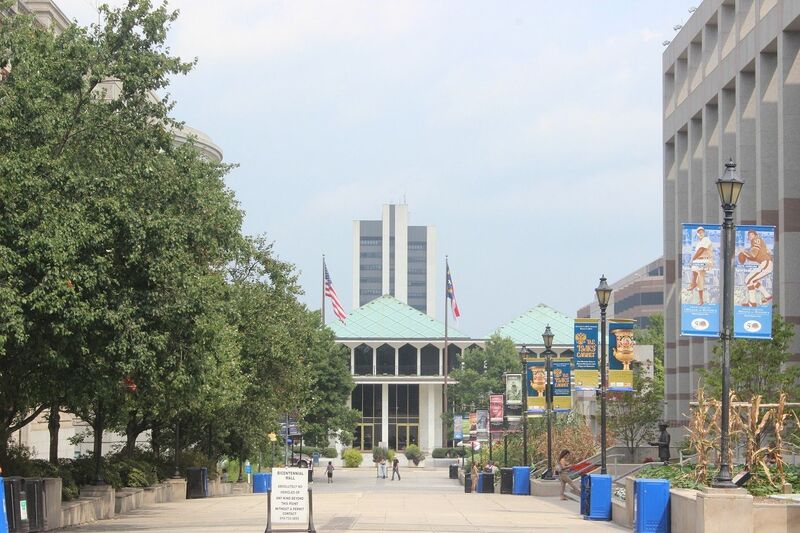 I think they modeled Raleigh after Washington D.C. so our Capitol building sits in the center with an outdoor mall space that looks directly across to the Legislative building with the museums on either side of the concrete space. The Museums of History and Natural History have received numerous upgrades since I was a child, and their exhibits are excellent. 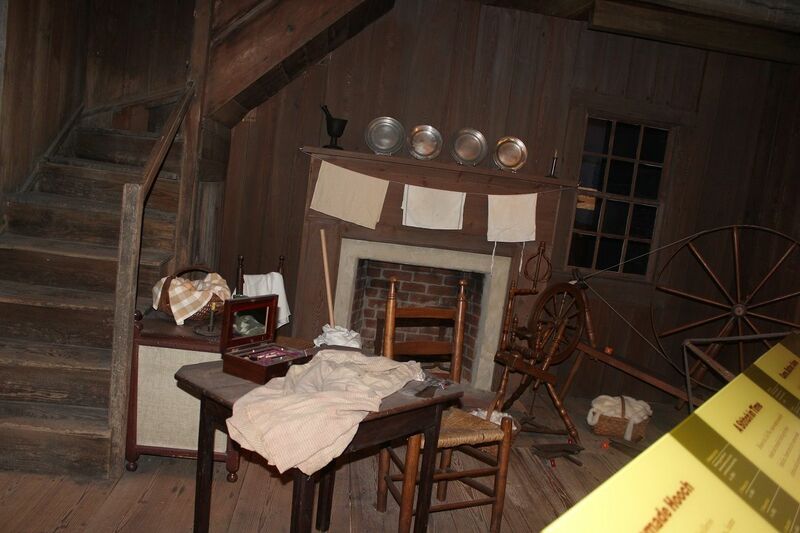 When I was in college, I thought about majoring in Public History with aspirations of working in a museum. 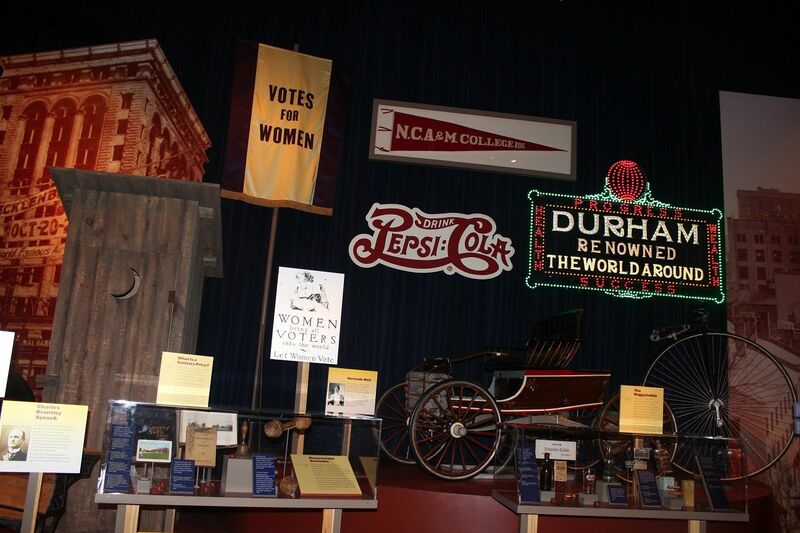 I took a Public History class (I was a History minor and a Politics major), and we did some work with the History museum. I applied for an internship and would have accepted it if it had paid, but I needed a paying job at the time and decided to work for a law firm instead. So hence, here I am a legal assistant and recent law school graduate. 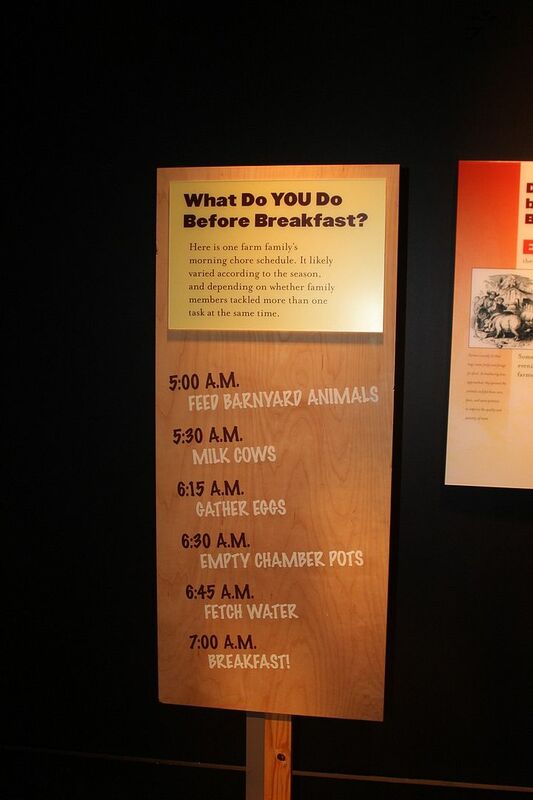 Sometimes I still think I would have enjoyed museum work more. Ha! 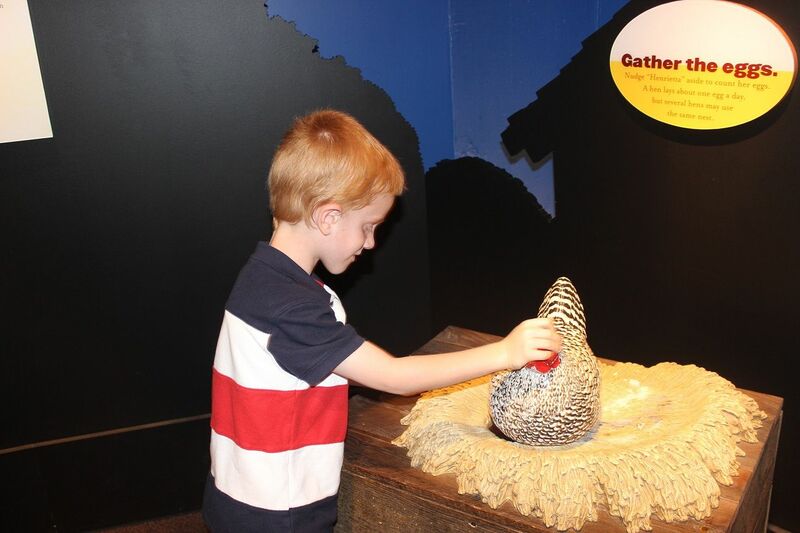 Anyway, we only spent a short time at the History museum this trip because we had more fun planned for the boys, but the boys really seemed to enjoy the History museum a lot as they had added a lot of hands on fun for kids. 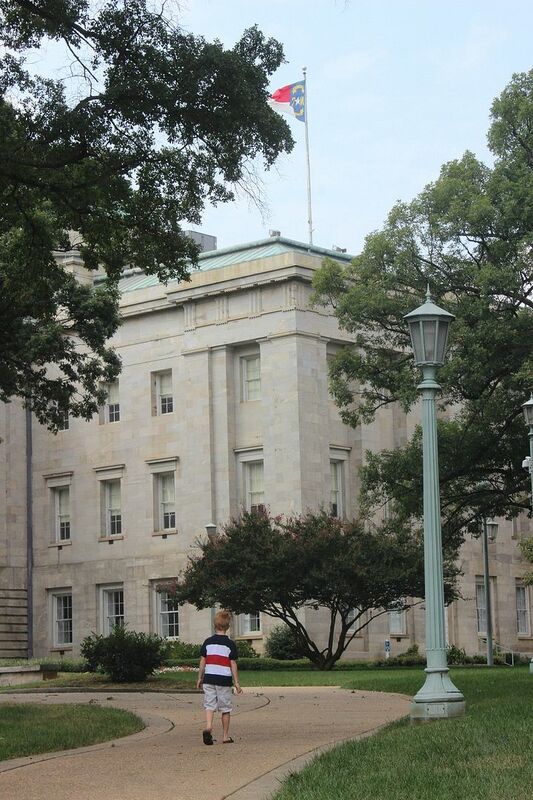 Walking up to the Capitol building. 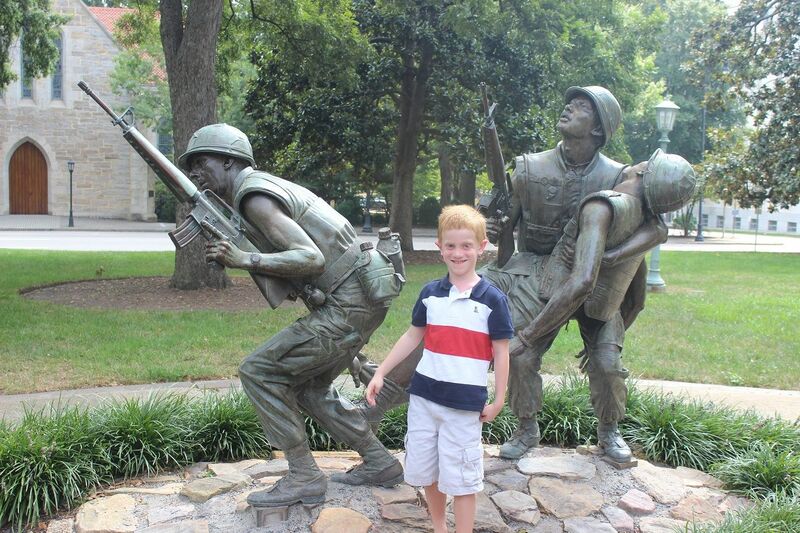 Evan loved all the soldier statues and the guns. This memorial was for the Vietnam War. 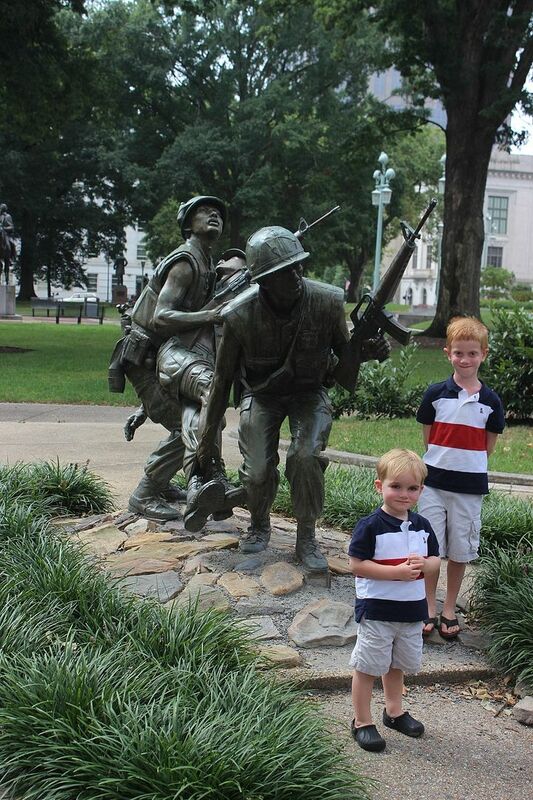 Our boys dressed in their patriotic colors checking out the war memorials. 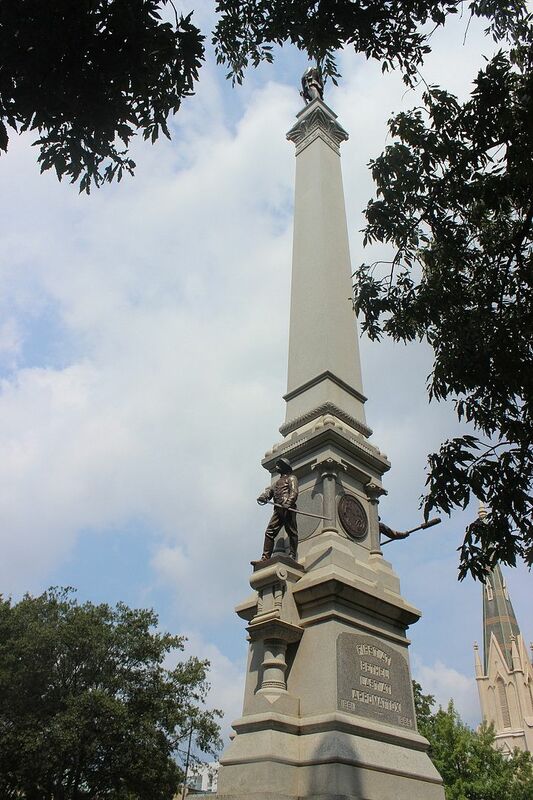 Not really sure he gets the somber meaning of this statue. 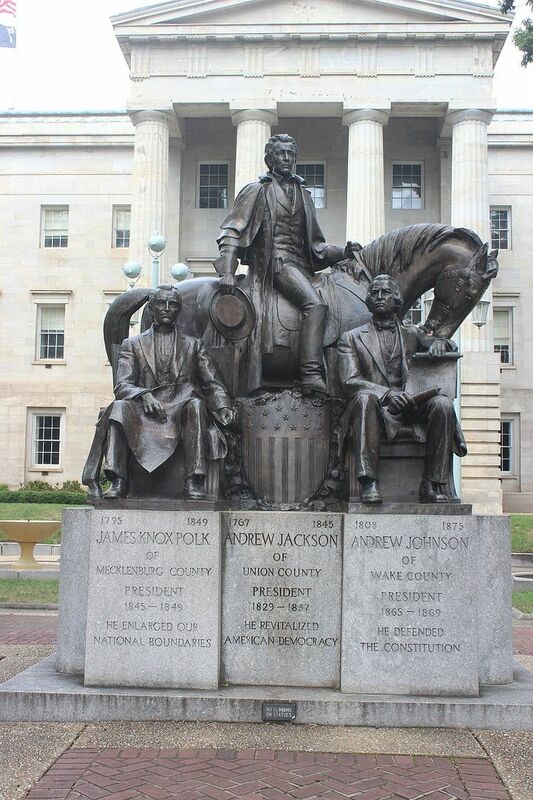 The three presidents who hailed from North Carolina. Brody wanted to pose for a picture. So we all posed for a picture. 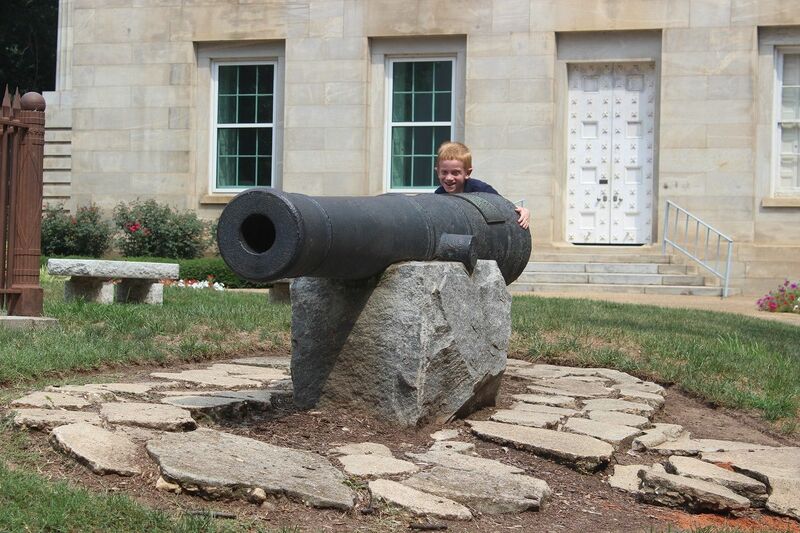 Evan trying to shoot a cannon. 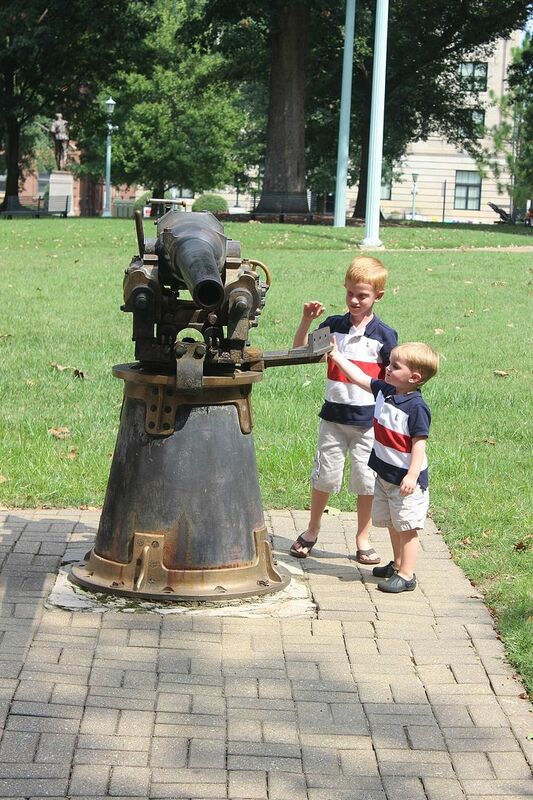 Looks like Evan is trying to shove his little brother's head in the cannon! 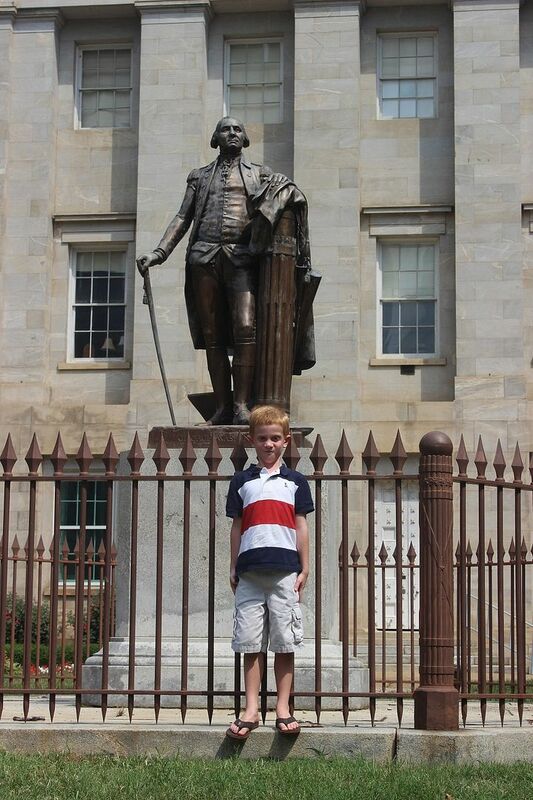 Evan standing with his country's first president. 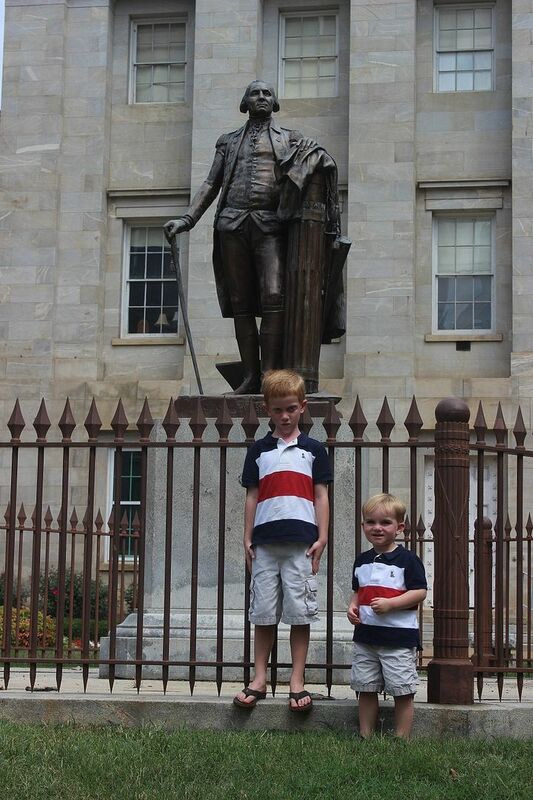 Both of the boys with President Washington. 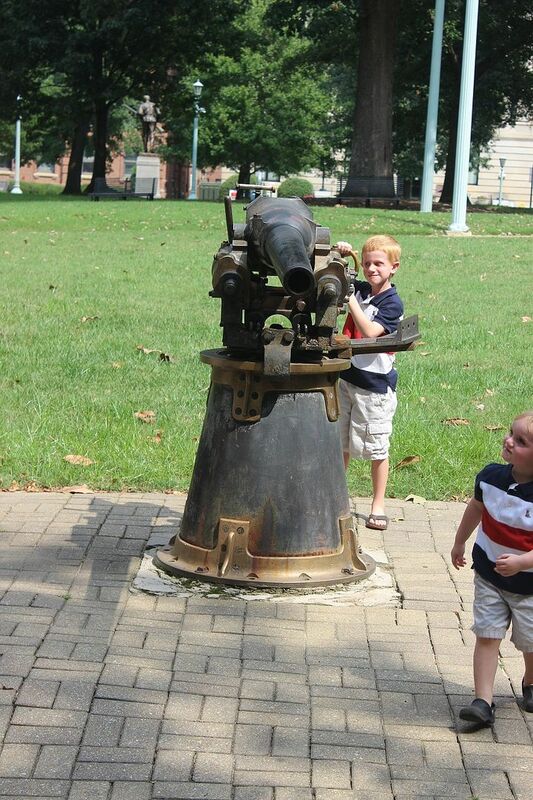 Evan is fascinated by all kinds of guns...just like his daddy. The boys trying to figure out how it works. I'm pretty sure that's not how it works, Evan. 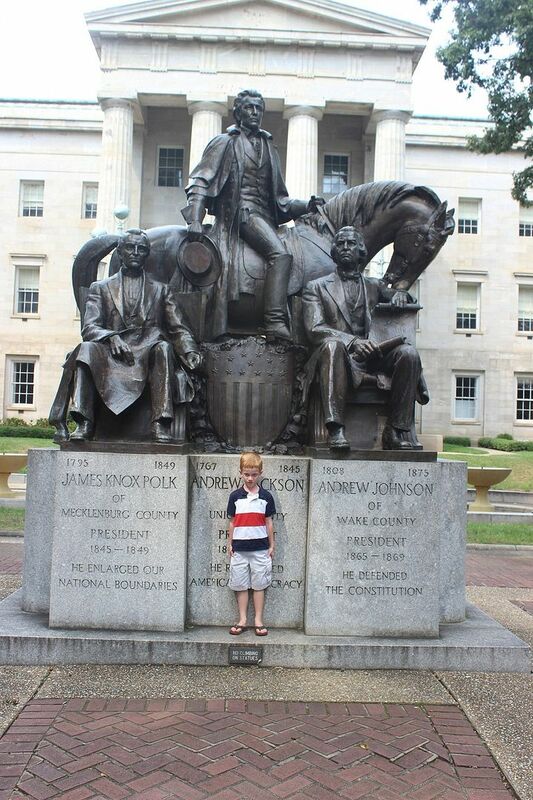 Brody just ran up to this statue and posed. 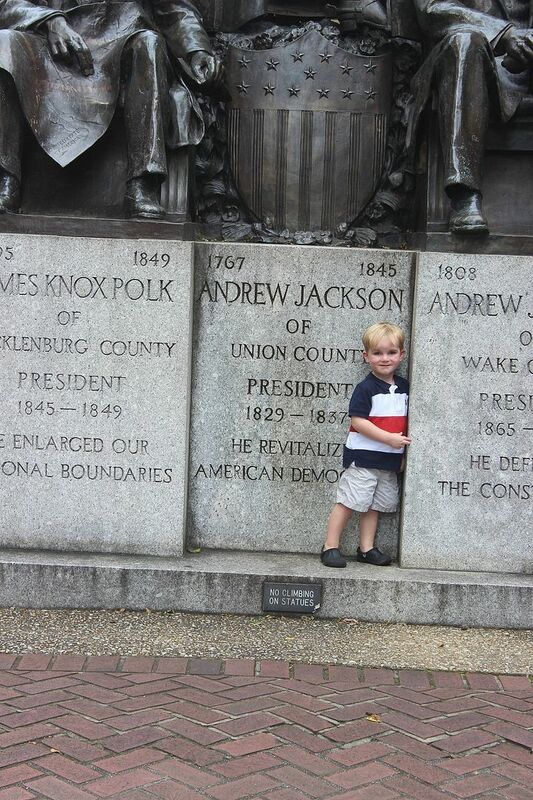 I guess he was used to posing in front of statues by this point. This was a Navy hero. 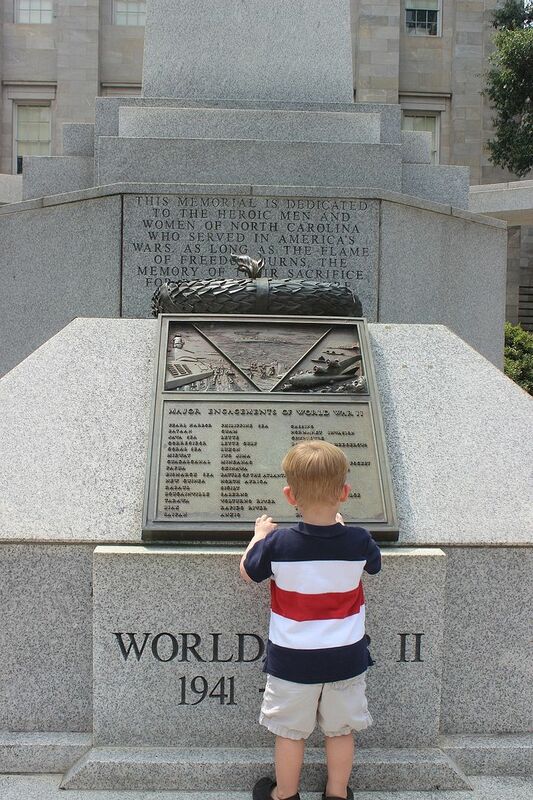 Brody reading the names on the World War II Memorial. Looking across the mall to the Legislative Building. 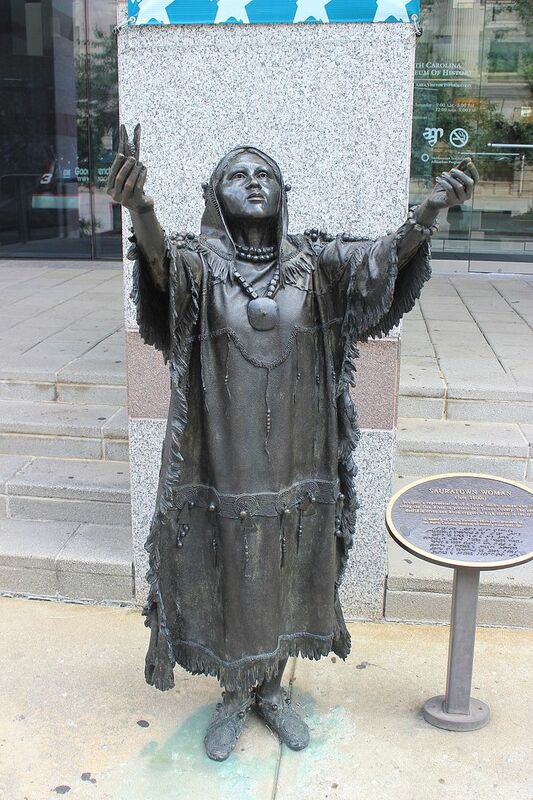 This little Native American Woman resides outside the History museum. 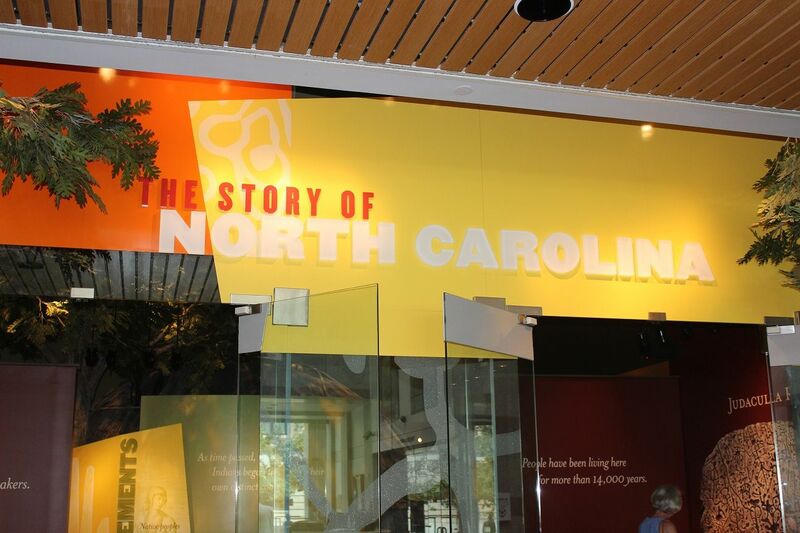 A quick journey through North Carolina history. I am ashamed of how quickly we passed through this time. 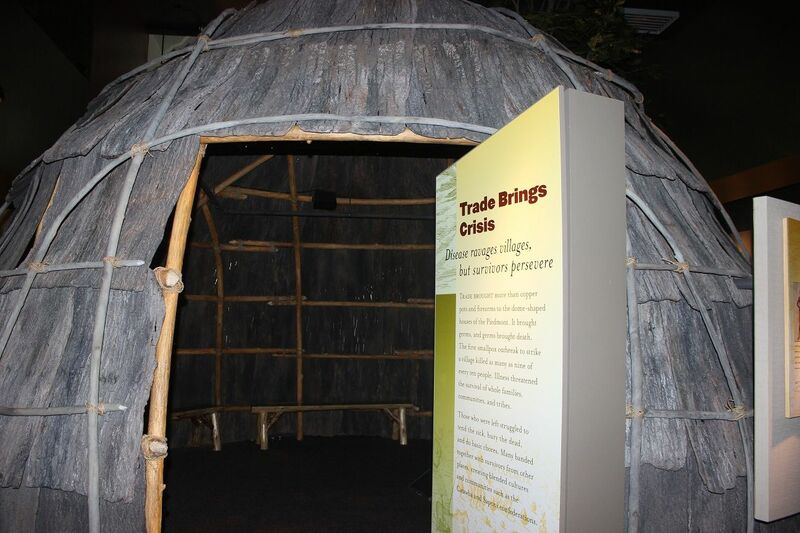 A replica of a Native American dwelling. 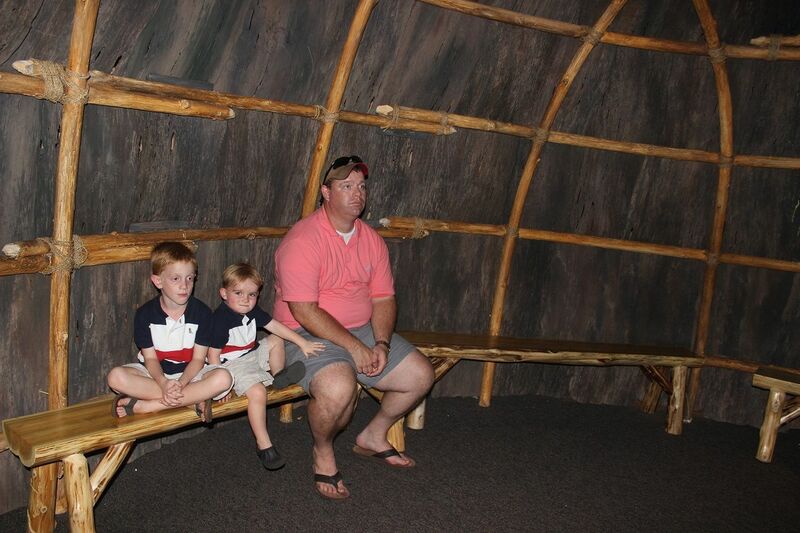 Daddy and the boys sitting inside the Native American house. 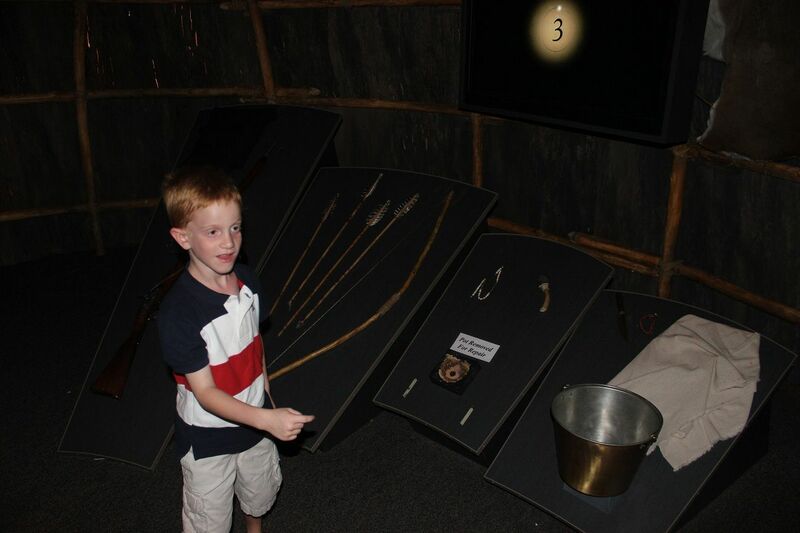 Evan checking out the Native American tools and artifacts. 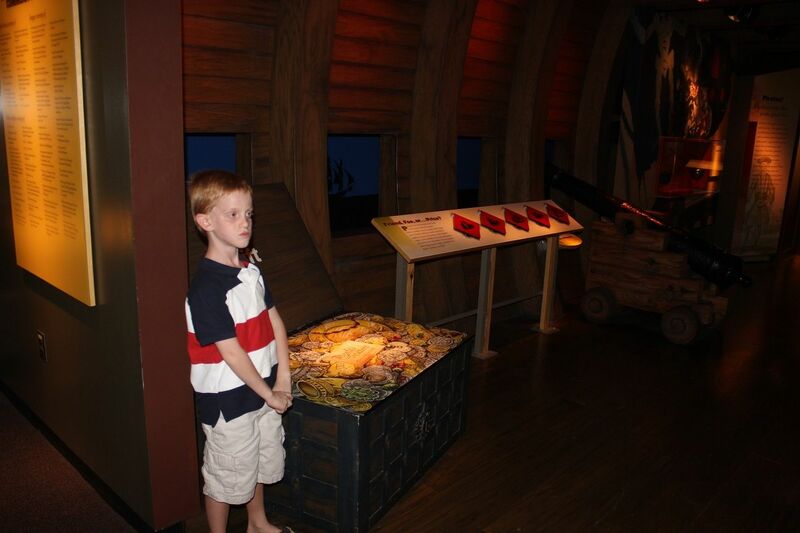 Evan really liked the part about our pirate history and walking through a replica of a pirate ship. 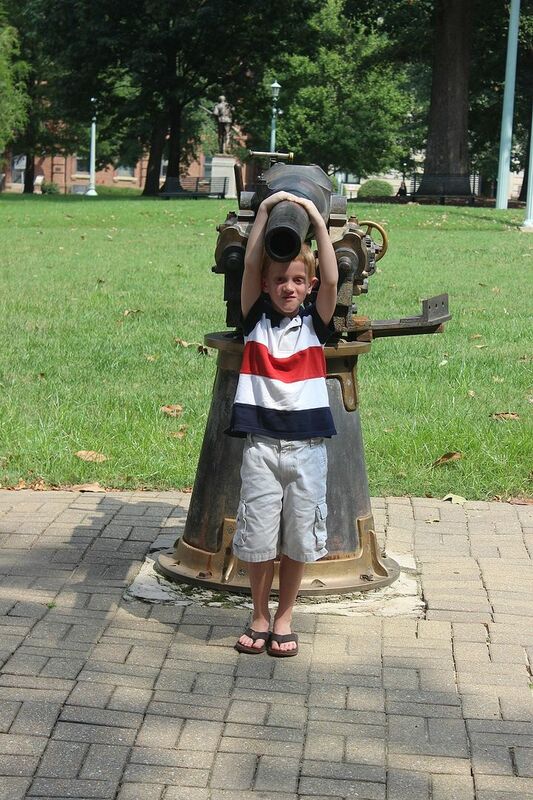 He loves learning about Blackbeard the pirate and his ship, the Queen Anne's Revenge. Sitting in front of a fireplace and reading by candlelight doesn't sound too bad. 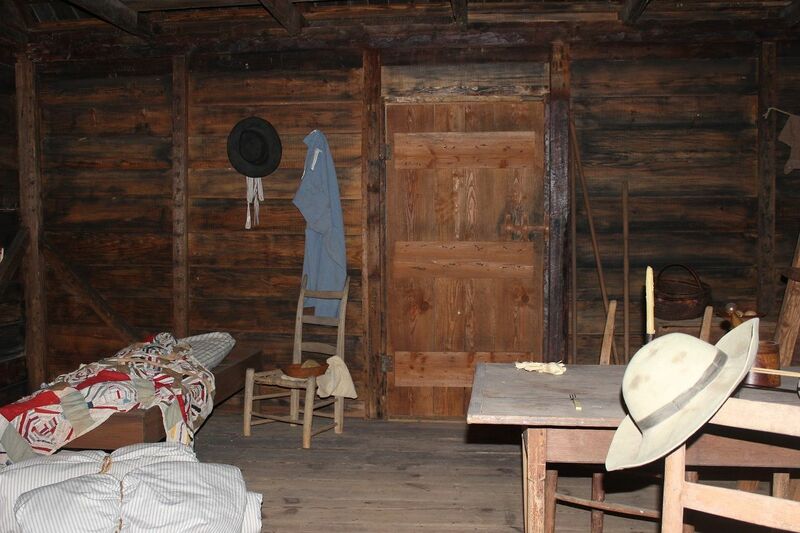 Cooking and washing clothes without modern conveniences may be a different story. 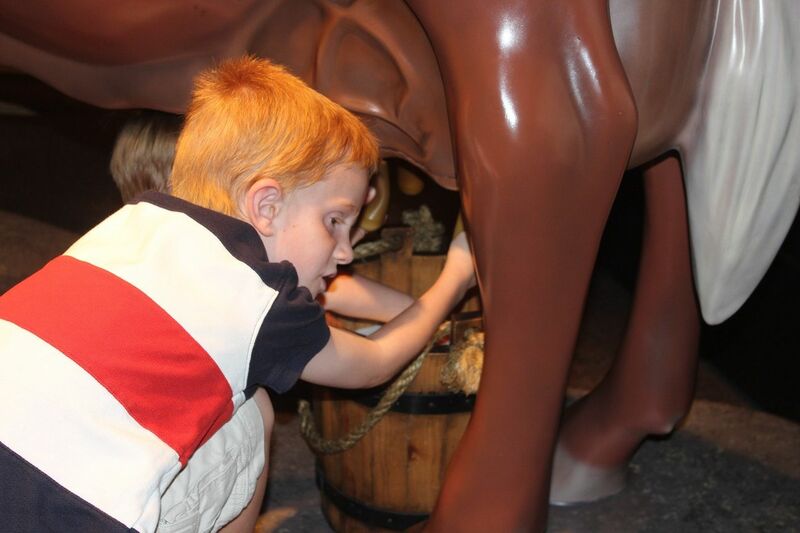 Evan learned how to milk a cow. Maybe we need to get him a cow as a pet. 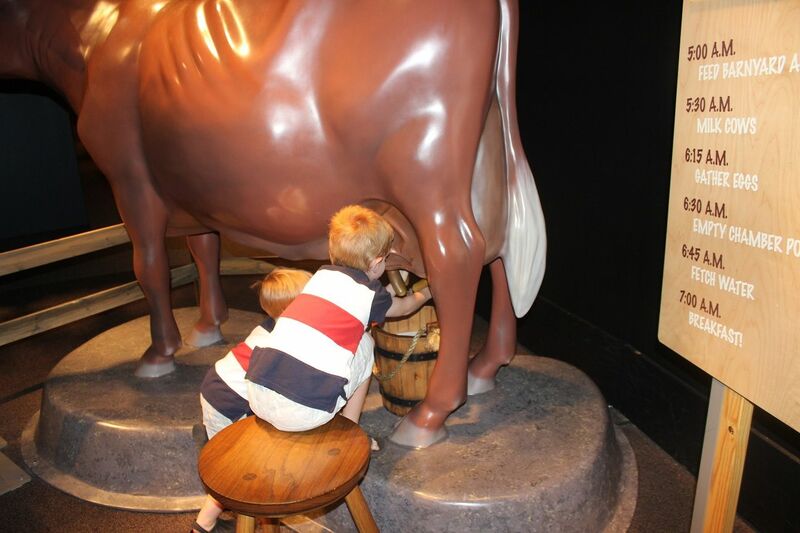 Brody gives milking a try. I explained to Evan about all the chores that children had to do in the old days in hopes that this would prove a valuable teaching moment in getting him to complete his chores at home. 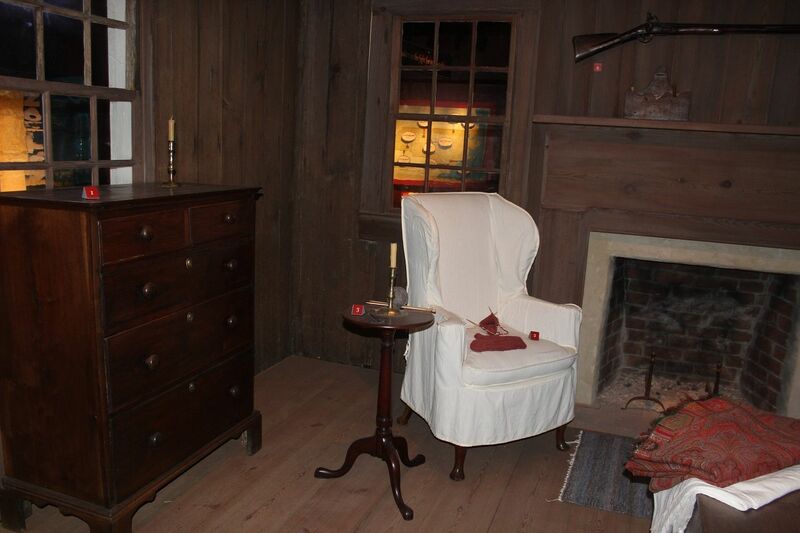 He particularly appreciated the one for emptying chamber pots. Ha! 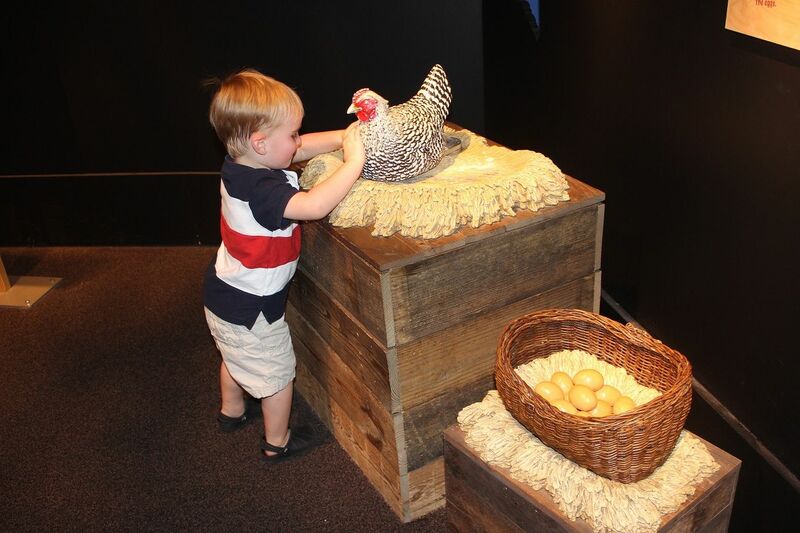 He didn't mind gathering eggs though. 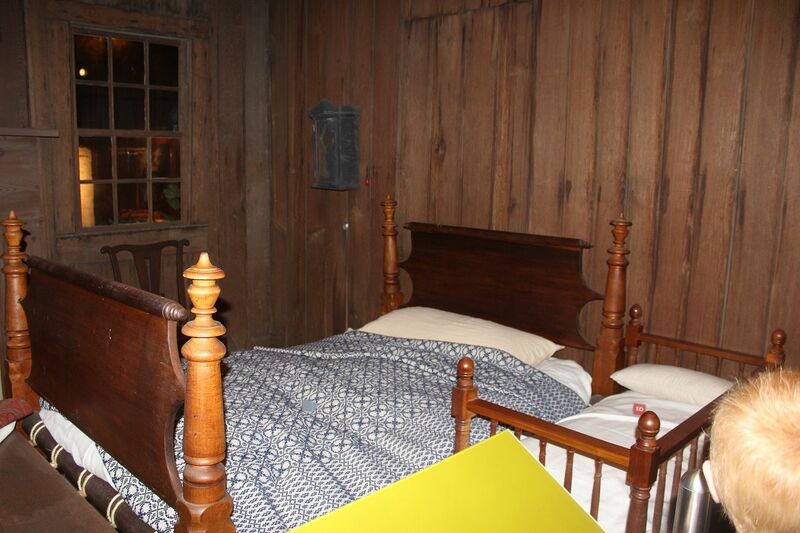 The less comfortable quarters of a slave family. Moving into the 20th century with progress. 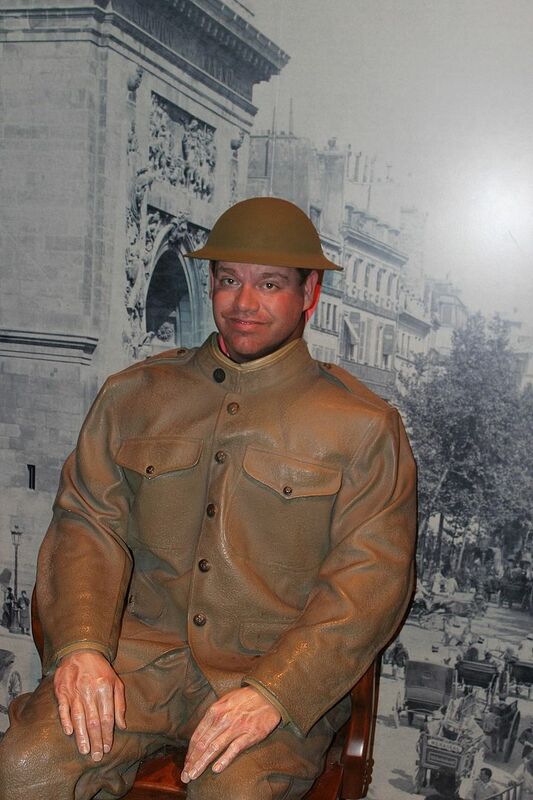 Evan pretending to be a World War I soldier. 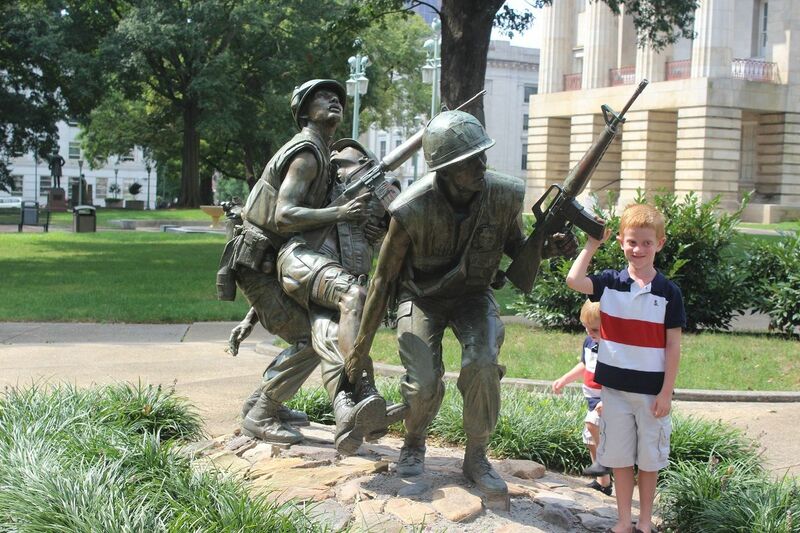 This soldier is getting his picture taken. 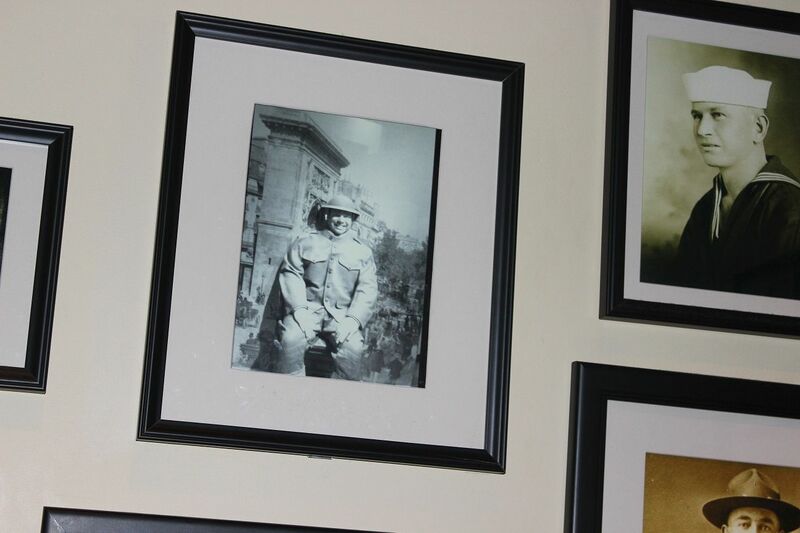 Does the soldier in the photograph look familiar? 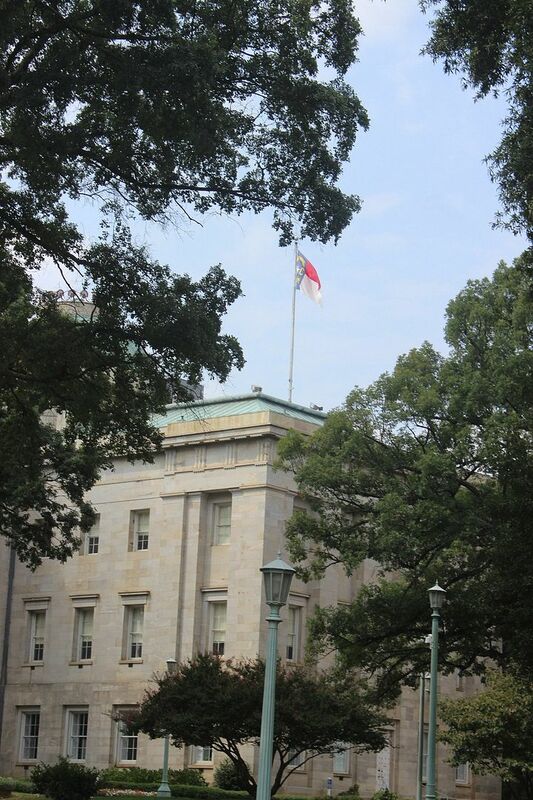 And thus ends our excursion in the North Carolina History Museum. That looks like such an awesome museum. 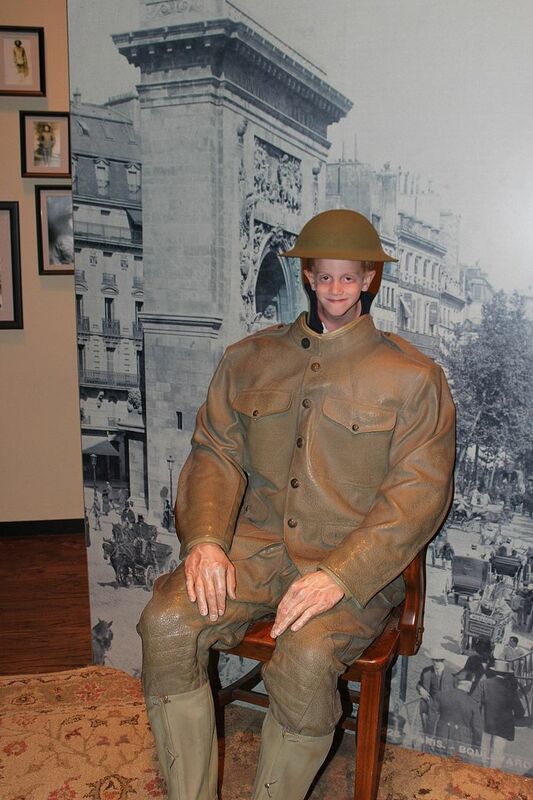 I know what it's like to have to pass through areas of a museum very quickly. =) How fun that ya'll were able to see what chores were like many years ago! It really makes me realize just how much I take things for granted! 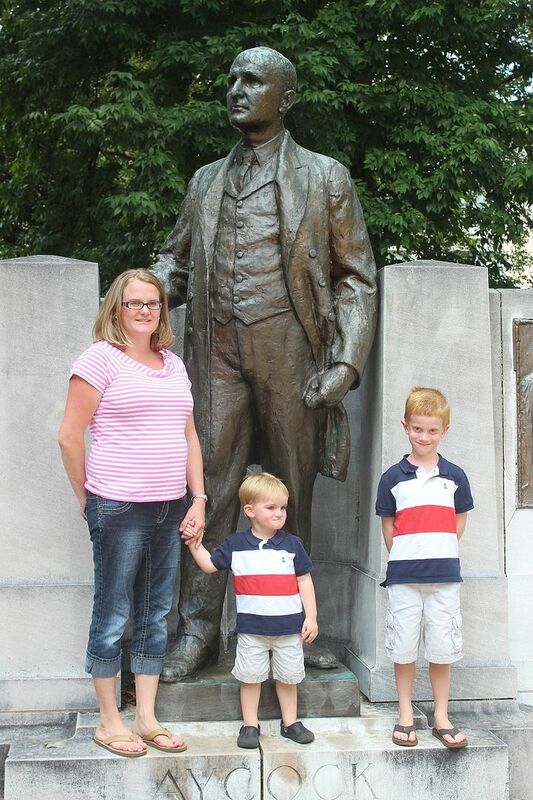 I'm going to have to find a museum like that for my kiddos to go too. It looks like so much fun! I love that you have a Pirate History! That's pretty cool! 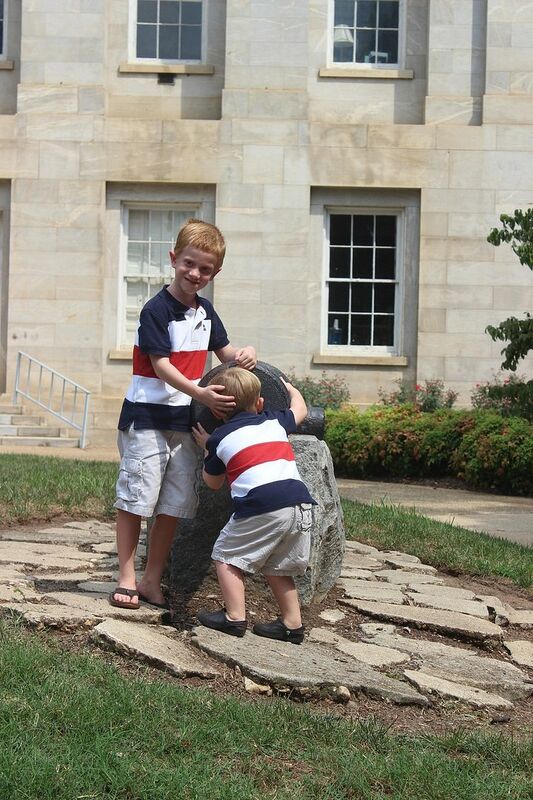 And yes, now I have a hankering to go to a museum with our kids. 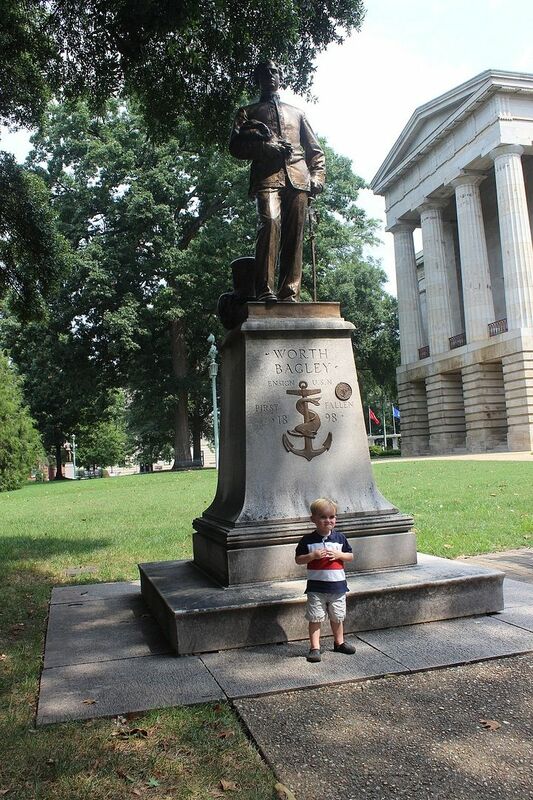 I think it's great that they learn about, and respect, history early on. I feel like I am learning so much about you whilst catching up on all of your posts. I did not know about your college major or 1st career aspirations. I am fascinated. What a cool museum. And you had a great excuse for going quickly. It's called: 2 kids.